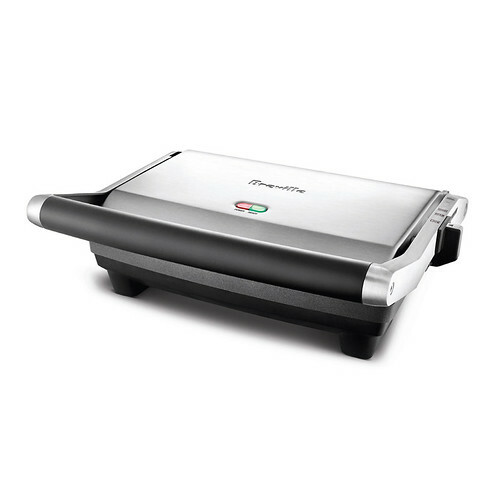 The Breville Panini Press “Duo” — In Australia, a panini is called a Breville. Find out why. 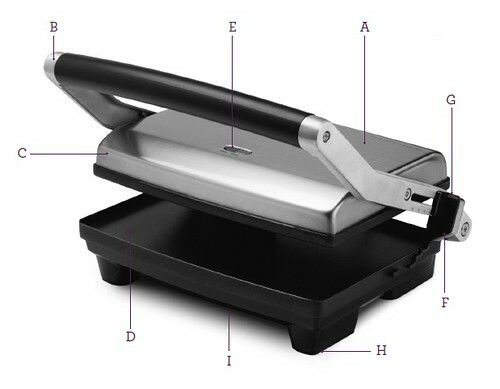 Even heat distribution and adjustable height for authentic café-style grilled paninis. A. 1500 watt element. B. Die-Cast arms. C. Floating Top Plate. D. Non-Stick Cooking Plates. E. POWER and READY lights. F. Safety Locking Storage Clip. G. Adjustable Height Control Clip - with 4 settings for making open sandwich melts, toasted sandwiches and everything in between. H. Non-Slip feet. I. Convenient Cord Wrap in Base.